We started the job in year 2003 with one vehicle . 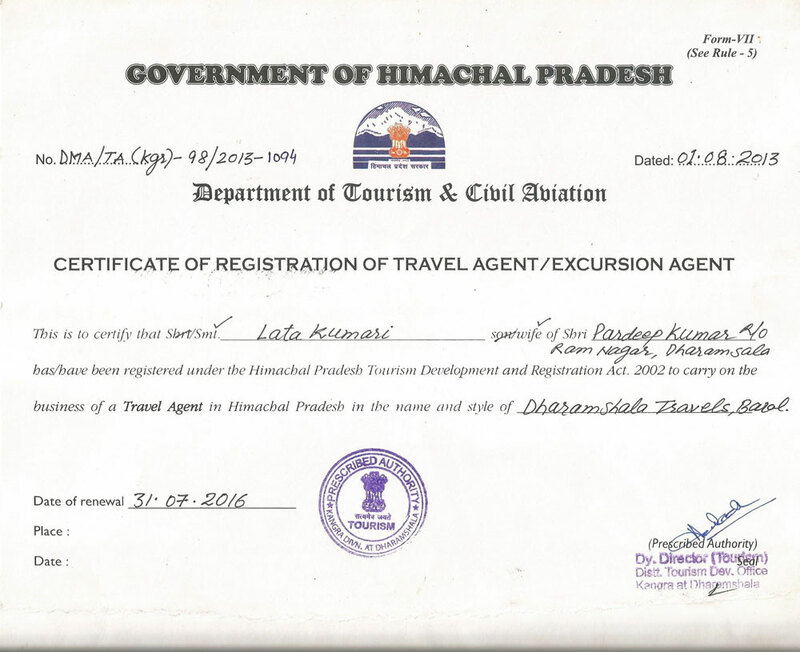 Providing support in the field of Tourism we now holds a group of fifty different tourist vehicles ,we can provide large/small deluxe coaches, Toyota Fortuner, Innova, Swift Desire and Tempo Traveler (all vehicles are well maintained and in both categories i.e. A/C and Non A/C. 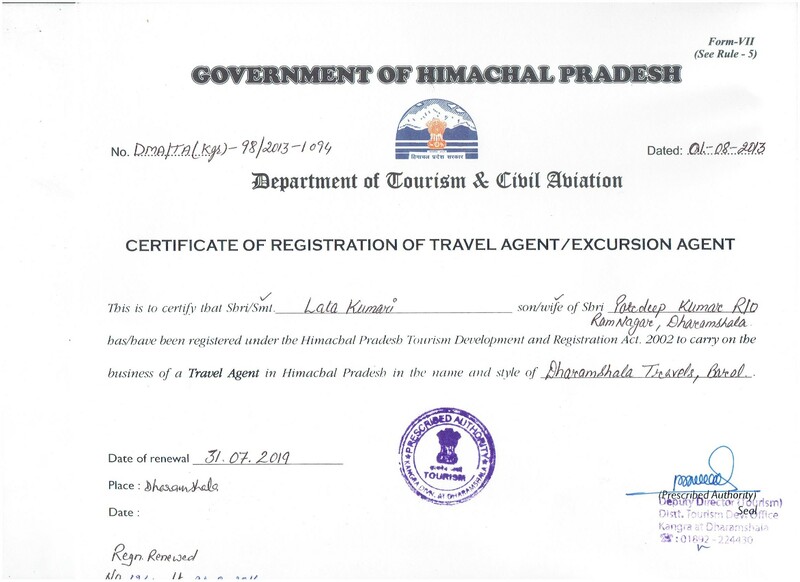 We provide the comfortable travel and adventure through our trained and professional staff for Northern India combining Himachal Pradesh Jammu & Kashmir, Uttrakhandand other nearby hill stations. 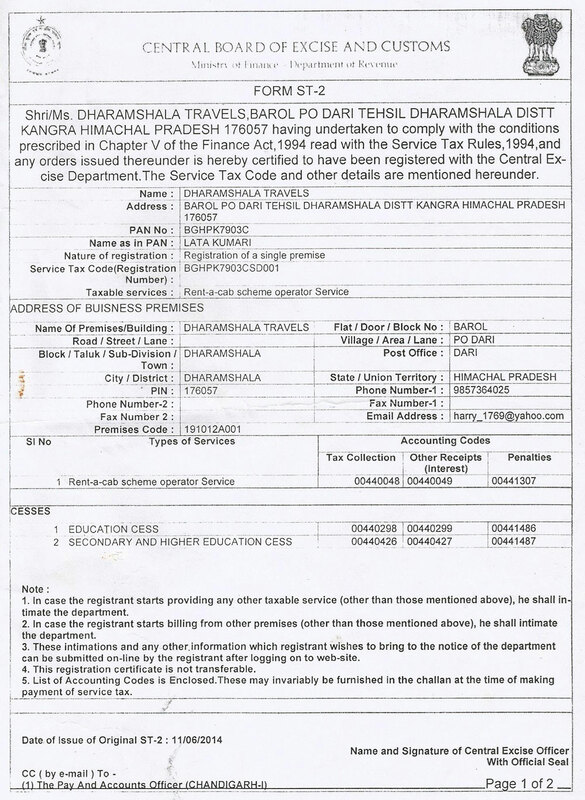 Dharamshala Travels has been registered by Department of Tourism HP Government (see certificate) under Tourist Trade Act 1988 ,for providing services in the field of Tourism in Himachal Pradesh.